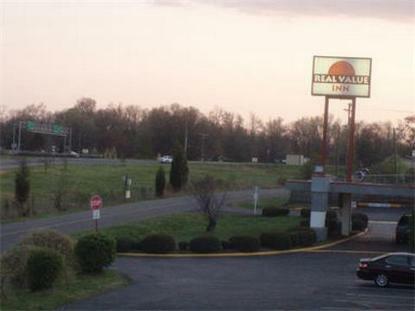 Located in the heart of Carolinas, the Real Value Inn is a 99 rooms hotel with direct access from rooms to parking area. The two-story hotel's 99 guest rooms feature cable/satellite TV and standard amenities. Some guest rooms are reserved for non-smoking guests. Easy to find off Interstate 85, Real Value Inn stands only three miles from Charlotte/Douglas International Airport. A newly renovated lodge, with modern comforts and service, it is situated away from the hustle and bustle of city life, but within 2-3 miles of leisurely dining, shopping, and business centers. The hotel covers over 2.5 acres and is surrounded by beautiful landscaped grounds. The motel location is close to area restaurants & fast food centers. Weather your catching a NASCAR or Carolina Panthers or Charlotte Bobcats game are traveling on business, our motel is convenient to Charlotte's most popular activities, attractions and major corporations. If business brings you to town, our complimentary free Wireless High Speed Internet Access will keep you in touch with what means most to you. Paramount's Carowinds theme park, uptown Charlotte and the Discovery Place Science Center are minutes away. Visitors will enjoy shopping at the nearby South park Mall, North lake Mall,Concord Mill Mall. A variety of restaurants and cocktail lounges are located in the surrounding area. The U.S. National White Water Center is an outdoor adventure center providing The Real Value Inn is 10 minutes away from the White water Park which sits along the scenic Catawba River, nestled on the Mecklenburg-Gaston County border at the intersection of I-85 South and I-485 world's most unique outdoor recreation and environmental learning experience.